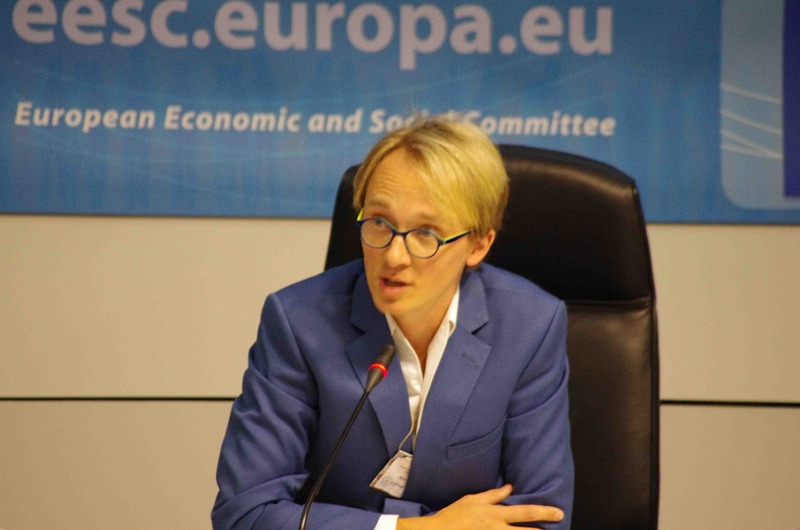 On October the 13th, the End Ecocide initiative gathered legal experts, scientists, NGOs, politics and citizens in the European Economic and Social Committee (EESC) in Brussels to talk about the ecocide concept and ways to implement it at national, european and international levels. Here is the summary of the day! 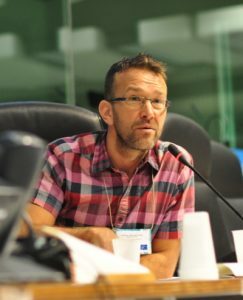 The day began with a brief overview of the history of ecocide by Dr Damien Short who has led the Ecocide research project at the University of London University. 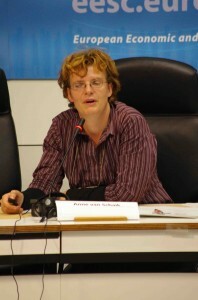 As his research shows, the concept of Ecocide has been the subject of academic, legal, and political debate for over 40 years. Ecocide was first discussed in the context of the UN Genocide Convention and then when the precursor to the Rome Statute establishing the International Criminal Court was written. It was withdrawn at the 11th hour, due to an arbitrary decision by the chairman, probably due to political reasons which we don’t know which certainty yet. 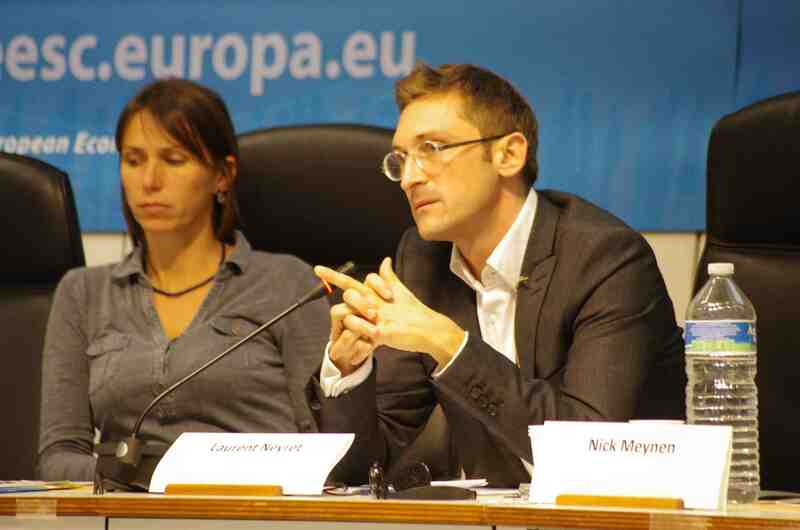 Then, Professor Laurent Neyret reflected on the several definitions of ecocide itself, explaining the nuances, especially the one regarding the difference between ecocrime (security for the environment) and ecocide (security for the globe). He also highlighted the fact that environmental crime has become the third most profitable international crime after trafficking in drugs and humans. A law of Ecocide prevention must and will change that. Nick Meynen, communication officer from the European Environmental Bureau, was here to present the Global Atlas of Environmental Justice (EJOLT project): a visually attractive and interactive online mapping platform detailing around 1,000 environmental conflicts around the world (and the list is growing!). He underlined the fact that cultural diversity is in danger due to environmental crime and that indigenous people are the ones who suffer the most from it. Indeed, the atlas shows: while they are 4% of the world population, they are involved in 46% of all environmental conflicts mapped. 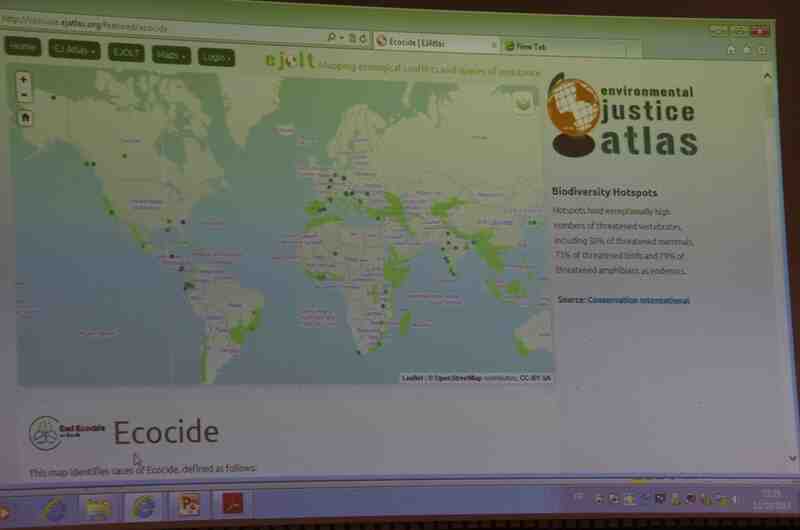 The End Ecocide team worked with the EJOLT team to co-built a featured map, representing ecocide cases all around the world. The Atlas will make it easier to find information, connect with other groups working on related issues and increase the visibility of environmental conflicts and will help us to achieve the recognition of as the crime it is. 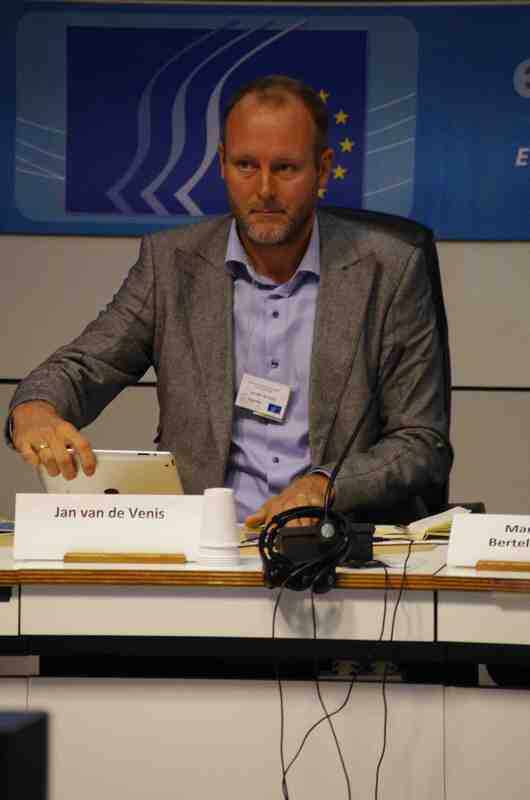 Jan van de Venis moderated the first panel on Ecocide and Human Rights. He recalled the development of the concept of human rights, moving from civil and political rights to social and economic rights and now the right to health and the right to a healthy environment. He further presented Grrowd, a global crowdfunding platform to support legal action against serious violations of economic, social and environmental rights. The former Judge Marie-Odile Bertella-Geffroy who has worked on defending the victims of asbestos and Chernobyl, among others, emphasised the difficulty of implementation of the current laws in cases of environmental injustice but also was optimistic about the future of a law of ecocide. She highlighted for example a successful case for prosecution for asbestos pollution in Italy, where the responsibles actually went to jail for environmental crimes. 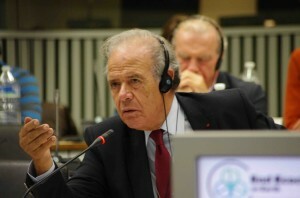 Dr Belpomme introduced the Paris Appeal: an international declaration on diseases due to chemical pollution signed by thousands of scientists, 10 Nobel Peace Prizes in medicine, 1,500 NGOs, 350,000 citizens and the Standing Committee of European Doctors representing 2 million doctors in the EU. As he outlined, the link between health impacts and ecocide is apparent and will more and more become so in the future. A law of Ecocide will help prevent lots of diseases caused by environmental degradation and Dr Belpomme was here to express his support for this law. Gert-Peter Bruch, President of the NGO Planète Amazone, then linked Ecocide and indigenous rights. 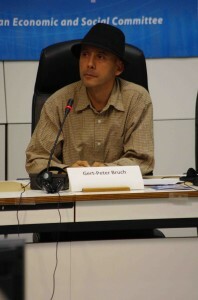 His presentation raised questions about the definition of what we call “cultural ecocide”: Where the right to cultural life by indigenous communities has been severely diminished by the acts of a person, company, organisation, partnership, or any other legal entity that causes extensive damage to, destruction of or loss of cultural life of the inhabitants of a territory. There is a theory in economics, called Time Preference, stating that nothing will be more valuable tomorrow than today. 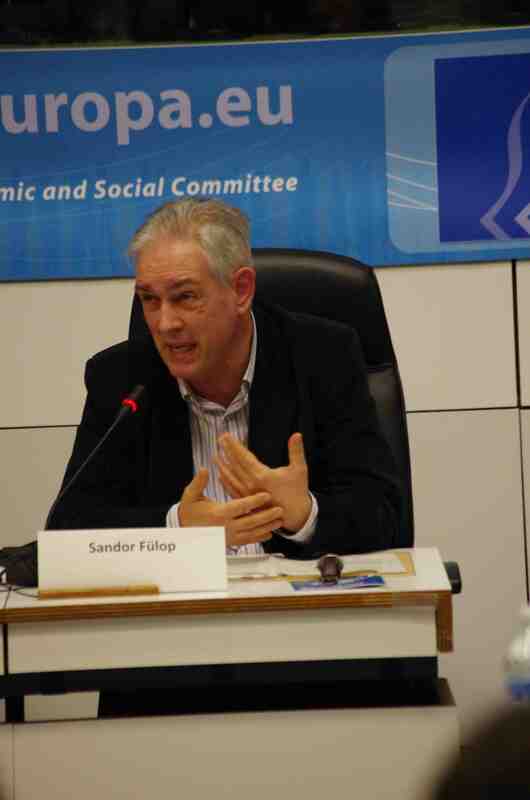 Dr Sandor Fülop, former Ombudsman for future generations in Hungary, reminded the assembly that most economists tend to be wrong these days and that we should be able to use criminal law to punish those who commit ecocide for future generations on behalf of those who cannot speak for themselves today. Dr James Skelly is the Director of the Baker Institute for Peace and Conflict Studies. He underlined the importance of the environment for peace, comparing today’s situation with the late 1930s, when everyone knew something bad was about to happen but they didn’t quite know what. 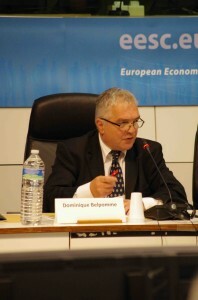 He moderated the second panel of the day, focused on climate change, environmental security, and responsible investment. He compared the case with ecocide movement and brought out the similarities, where both initiatives using legal approach, human rights, precautionary principle and duty of care as their argument. The differences are the Dutch case is on national level, where they hope it would bring momentum also on international level evoke similar cases in other countries (Belgium already might be next one). Also, for them punishment and compensation for damage done is not the main aim). 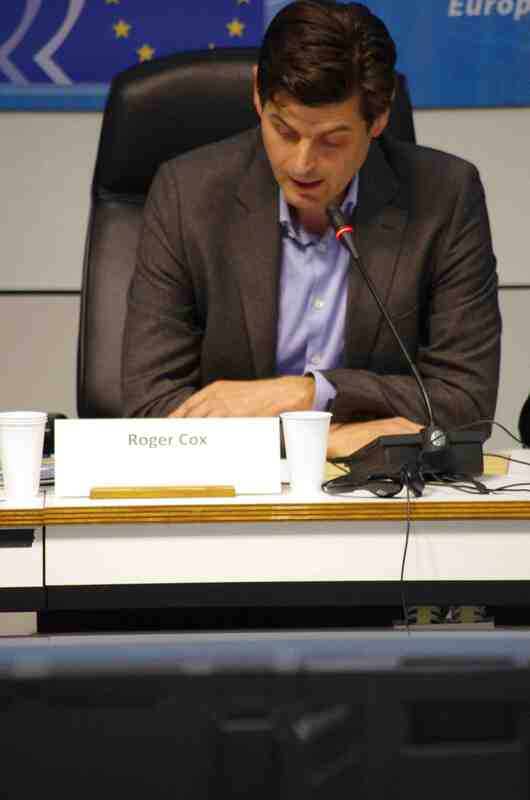 He pointed out how they are using IPCC reports as evidence, which no court can argue with. They are seeing climate change as the biggest man-made ecocide. how apparent is the danger? How great is the chance the danger will manifest itself? How serious is the danger? The measure of responsibility of the defendant against the claimant? How objectionable are the preventive measures regarding what is at stake? Climate change fits all these. It was also stressed that applying energy efficiency measures and renewable energy is not enough, the currect GHG emssions must be tackled. No country is responsbile for climate change single-handedly, but everyone gives their share. Since it’s essential for us to buy time, by curbing their national emissions, each country can slow the global trend little bit. Beacuse of inertia, the effects of climate change will come out in 40 years. The choices we make today will have to take that into account. Wouter Veening, President of the Institute for Environmental Security looked at the concept of ecocide from the environmental security perspective. Climate change is a major issue, even if it is sometimes a challenge to identify who is responsible. It poses tremendous questions, such as the status of citizens of small island states which are likely to disappear with rising sea levels, or the increased number of climate refugees, aluding to the fence currently being build on the border between India and Bangladesh. Another issue is the depletion in ground water resources across the world, which exacerbate the effects of draughts caused by climate change. 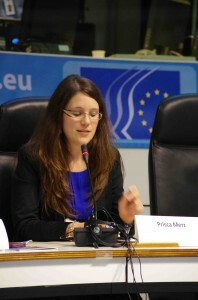 He also highlighted the increased prevalence of organised environmental crime which also entails corruption, money laundering, arms smuggling, etc, and poses serious international security threats..
Anne van Schaik from Friends of the Earth Europe discussed the relationship between ecocide and responsible investment, highlighting also the need for effective access to justice – with a focus on landgrabbing. This is not a new issue but increasingly we now also see South-South landgrabbing, involving more and more actors where African governments give rights to land to large multinational companies. While many financial institutions have voluntary initiatives and indicators to decide where they invest, not much has changed. 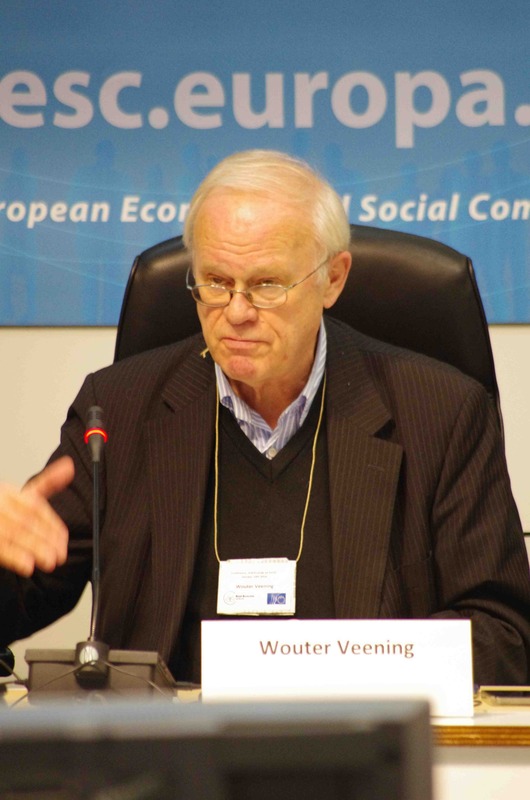 That’s why Friends of the Earth and others work on binding rules on the European level to regulate financiers. One of the key issues is that they do often not transparently implement their policies. We need the law of ecocide prevention to provide access to justice for affected people, so that they can effectively withstand corporations which do not respect the rules. 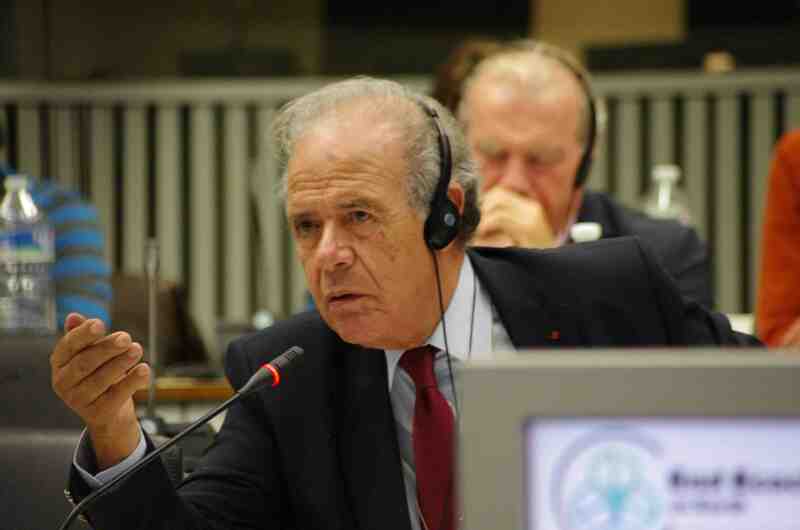 Dr Ahmed Alami, Former Minister of the Environment from Morocco, introduced the Charter of Brussels. On January 30th 2014, a coalition of organisations gathered at the European Parliament to launch the “Charter of Brussels” which officially requests the establishment of a European and an International Criminal Court of the Environment and Health. The Charter calls for the recognition of environmental crimes as crimes against Humanity and Peace by the United Nations. The need for this international justice is underlined for example by desasters such as Bhopal, Chernobyl or the dumping of toxic waste which don’t know borders and have international consequences. 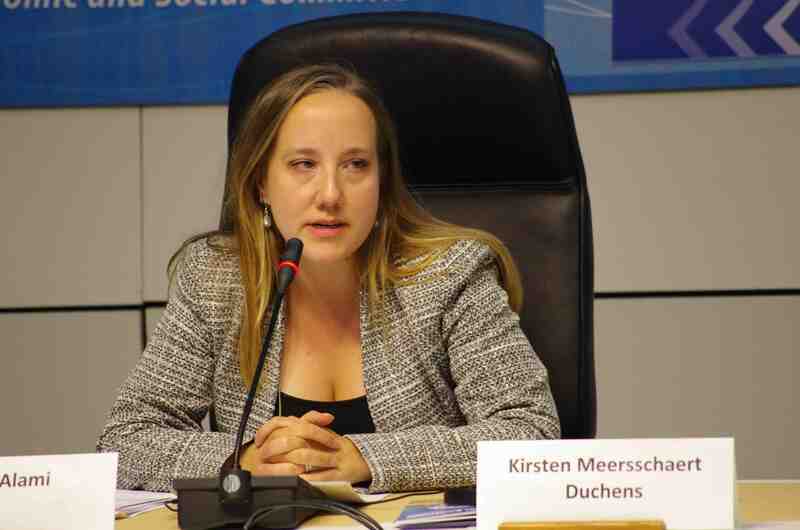 Kirsten Meersschaert Duchens started her speech by looking at the main purpose of the International Criminal Court which is to seek justice for mass human rights violations. This actually often goes hand in hand with environmental damage and history gives many examples where the environment was destroyed for achieving strategic goals or economic profits. She outlined that the current environmental war crime under the Rome Statute (Art 8.2.b.iv) is not sufficient due to its very restrictive nature: Damage has to occur during an international armed conflict, it must be specifically intended to create damage to the environment, it must we widespread AND long-term AND severe, and on top of all of that, the damage must be weighted against the military aims of the perpetrator. So as the Rome Statute stands now, it’s clearly insufficient to address the majority of acts damaging the natural environment during war, let alone in times of peace. She explained how the Rome Statute can be amended in order to include additional crimes under the International Criminal Court. This process is not easy but can be achieved. The main challenge will be political, rather than procedural. On this note, the day ended and Tuesday was dedicated to a meeting of our expert group, discussing the best way to go about implementing the law of ecocide prevention, and a workshop to discuss the challenges lying in the instrument of the European Citizens’ Initiative as such, in particular for youth- and volunteer-led ECIs.